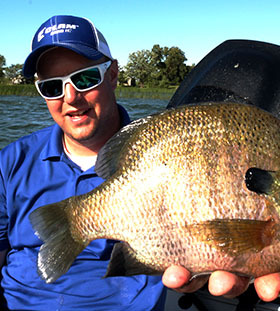 Garett Svir is a freelance fishing writer and the owner of Slab Seeker Fishing Guide Service. He is also our team bluegill fanatic. That is why he is such a huge fan of his 1750 Fish Hawk SC. According to Svir, this boat is an excellent choice for the multi species angler that needs something small enough to take into skinny water in search of giant bluegills but also has the stability to handle the big water in search of walleyes, smallmouth and even steelhead. His passion truely lies in helping new anglers become more successful on the water. When Garett is not on the water or writing he can be found working as a tackle sales rep or hanging out with his family.